Kyoto and Nara City are ancient capitals at different times becomes the center of the cultural life of Japan. Even the highest levels of progress together with the general trend in the country’s urbanization is not damaged appearance of these ancient cities. This is a true original Japan – with temples, ancient and beautiful, with quiet streets, which did not seem to have changed over the centuries, a number of interesting discoveries and findings for any traveler. Visit these cities can be purchasing any of these trips to Japan. Kyoto for a millennium was the capital of Japan, Kyoto, and it is associated with major historical milestones in the development of the country. 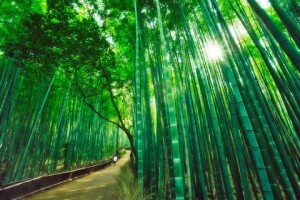 Masterpieces of Japanese literature and art, philosophy and art were born in Kyoto. Visit this city is a must, especially as the path to it takes only two and a half hours from Tokyo by train today, super express, called the Japanese “Shinkansen”. If you go to Kyoto Airport in Osaka, then the path will be even shorter – just fifteen hours. 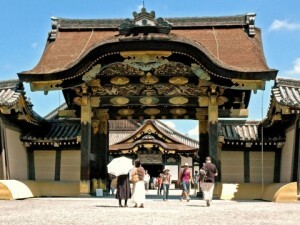 Kyoto will give you the opportunity to see a real imperial palace, which for centuries decide the fate of the country. The Imperial Palace is not only interesting from a historical point of view, but also as a masterpiece of ancient architecture. Before visiting the palace you must obtain a special permit, which is 20 minutes prior to the planned tours must present their passport. Tours of the Imperial Palace are held at 10 am and 14 hours. Not far from the palace is no less interesting object for inspection – the residence of the Tokugawa shogun, ancient Nijo Castle. 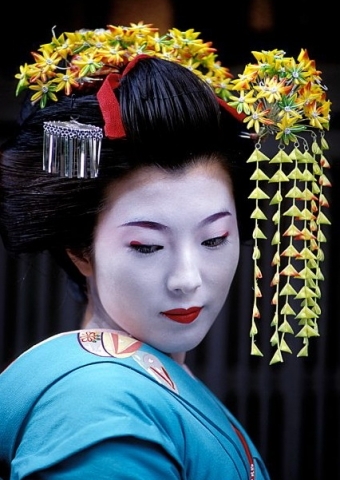 If you want to see traditional Japanese theater and enjoy the works of Japanese traditional art – go to the quarter of Gion . It is next to Shijo-Karamavati. Here you can appreciate traditional Japanese cuisine in luxurious restaurants, which are abundant in the quarter. See the ancient Buddhist temple can be in the Higashiyama district . Temple, calledSanjusangendo , notable for the fact that within its walls is placed exactly one thousand and one statue of the Buddhist goddess Kannon. The statues are made ​​of wood and covered with gold leaf. Another temple, called Kiyomizu , famous for the widest veranda, up to which you can see the most beautiful views of the city. Another interesting temple – Ginkakudzi in guidebooks is called the Silver temple. The church has an amazing beauty of the garden, which can be traced traditional Japanese garden art. Another two temples, mandatory attendance – Kinkakuji (aka Golden Temple) and Ryoanji . The extraordinary harmony of nature and architecture, rock gardens, artfully combined with the general landscape – all this will leave a lasting impression from visiting temples. 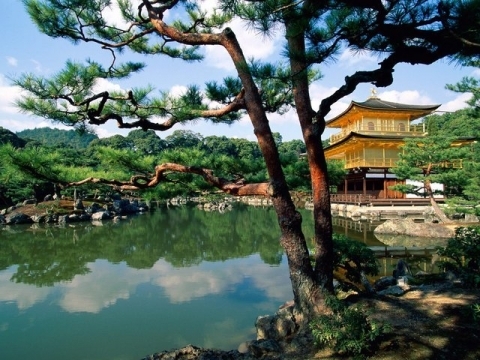 Another example of the skill of Japanese architects – Katsura , which is the residence of the imperial family. This masterpiece of architecture and landscape design located in the west of Kyoto. The second imperial residence – Syugakuin, was built in the 17th century the famous shogun Tokugawa, and is a great monument of architecture and history of the country. To obtain permission to visit the residence, you must apply for this tour a few days before her. Permits are issued special management department of the Imperial Palace. 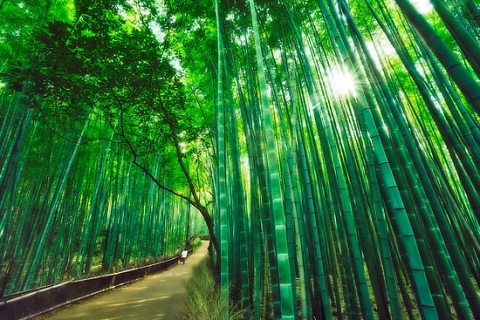 After passing twenty minutes from the center of the ancient capital, you find yourself in the area Arashiyama – an ideal place for hiking on Kyoto or excursions by bike. 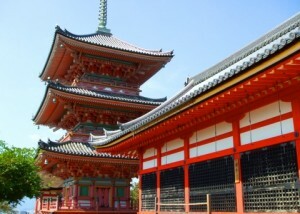 Here an abundance of beautiful temples side by side with shops appealing to tourists. 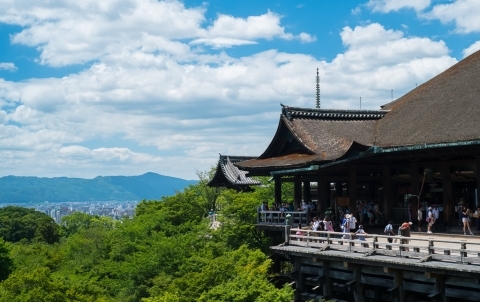 The city of Nara is the ancient Japanese capital, and is considered the cradle of Japanese culture and art. It is here were the main Japanese craft, tradition and science. Once in the city, you need only move a few meters from the train station – and you plunge into the wonderful world of ancient Japan. 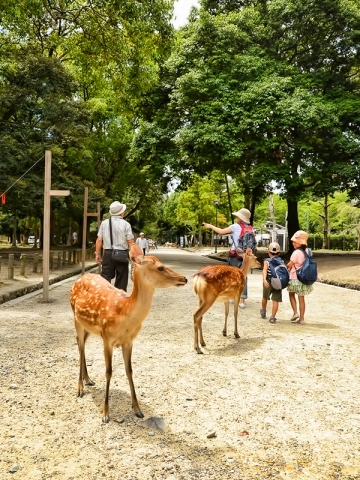 Nara City Park – a unique place, only here you can feed the deer live chat with hands. In the western part of the city stands the temple of Kofukuji , which was built in the 8th century.And on the shore of the pond Sarusava you can see the magnificent ancient pagoda, which has five tiers and is one of the most beautiful monuments of Japanese architecture. Not far from it is a museum with an interesting name – House of national treasures . Here you can see the priceless statues of Japanese gods. Another interesting museum – National Museum of the city of Nara . Museum exhibits many centuries, and it is here that you can feel the breath of antiquity, admiring the works of Japanese art. Temples – very interesting points of tourist routes. 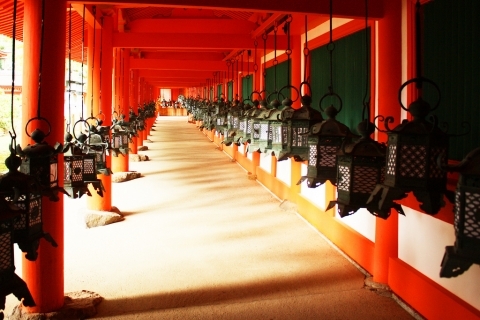 Nara is rich in ancient temples, which are superior in age temples of other Japanese cities. For example, Todaydzi -. Big Buddha TempleBuddha statue is located in the great hall, which is entered in the record books as the largest wooden structure in the world. Kasuga Shrine, referring to the Shinto religion, was built in the eighth century and is the main Shinto sanctuary of the country. Temple extraordinarily handsome, standing out the bright red spot on the background of the surrounding lush vegetation. The area around the temple is decorated with lights, stone and bronze. The total number of lamps is greater than 2000, which creates a unique atmosphere of solemnity and mystery. 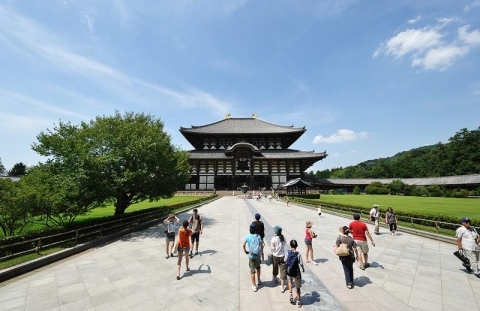 The oldest temple not only in Japan but also around the world, is also located in the city of Nara.Passing by train forty minutes from the train station, you can enjoy the majestic beauty of theHoryuji temple . It was founded at the beginning of the seventh century, and consists of forty different buildings, united in a common architectural ensemble. Architectural “treasures” of the city of Kyoto and Nara are listed in the UNESCO register of protected cultural monuments of great importance to world heritage. Under the protection of UNESCO are sixteen Kyoto temples, Buddhist temples in Nara, historical architectural structures of these cities. A unique opportunity to see these monuments of culture with their own eyes provides a guided tour to Japan.